The regulator said it had taken in consideration that the US, most of Europe, Hong Kong, Japan and UAE had already stopped the sale of codeine products without a script. 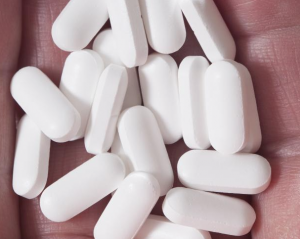 “Consumers frequently became addicted to codeine,” a TGA statement said. The TGA said the 2018 start date would allow consumers to discuss treatment options with their doctors. The TGA noted codeine has variable analgesic efficacy with little effect in some patients and others at risk of overdose. It is also subject to drug interactions which can increase the risk of overdose or reduce the efficacy of the drug, and when used for a long period all opioids can cause a withdrawal syndrome. The change will begin on February 1, 2018. This decision from the TGA is a much welcomed one. Codeine dependancy is an easy trap to fall into. At the moment its very easy to get your hands on a packet of Nurofen plus to treat your sore back/period pain/arthritis and use them for a few weeks. After this stage it can be quite hard to differentiate pain symptoms from codeine withdrawals and almost easier to continue taking them because no one likes to be in pain. The main aim of changing the accessibility of codeine products is to prevent the missuse and accidental addiction to these pills. If you are struggling with codeine dependance and would like some help kicking this habit, contact one of our Emed Practitioners today to talk through your options. There are many natural anti-inflammatory medicines that are highly effective and safe to use when compared with codeine based medications. 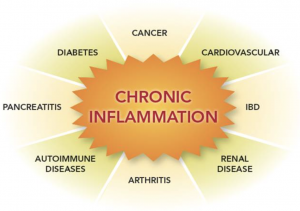 Studies have demonstrated that curcumin (active ingredient in Turmeric) acts as a master switch of inflammation by acting at the level of pro-inflammatory enzymes and transcription factors, including nuclear factor- kappa beta (NF-kB), a critical mediator of inflammation. This anti-inflammatory activity makes curcumin effective against a number of conditions related with chronic inflammation including cancer, heart failure, dementia, exercise-related muscular fatigue and arthritis. We have a wide range of Curcumin supplements at Emed including Bioceuticals Theracurmin Triple, MediHerb Curcuma Active, Oriental Botanicals Curcumin Excel and Pure Innovation Curcumin. There is going to be a long line up of people at the doctor for painkillers that actually help strong pain of migraine etc. and people will have to doctor shop. The ban on codeine will not stop determined people.I am currently stockpiling mine so that I won’t have so much expense at the doctors next year.